Zlatý Bažant 0.0% is the first Slovak beer without any alcohol with intense malty taste. 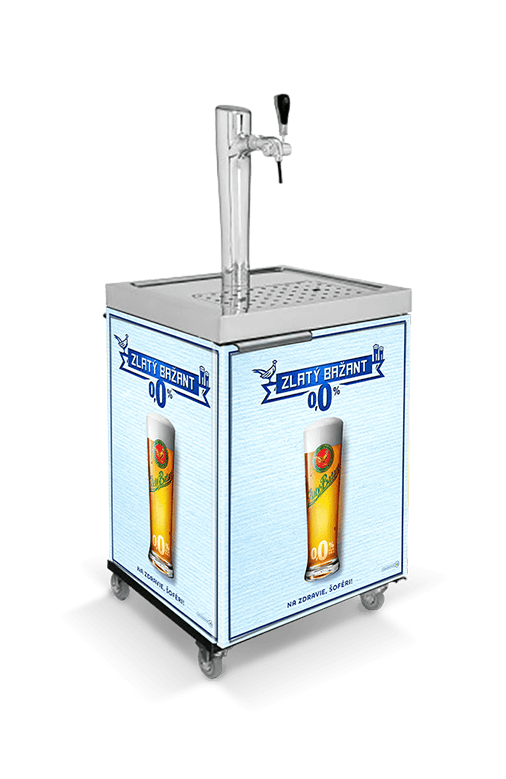 It represents a response of the Hurbanovo brewery to modern trends in consumers’ lifestyle and is intended for all who do not want to make compromises between full beery taste and alcohol content. Due to zero alcohol content you can refresh yourself in any situation in which zero tolerance of alcohol applies – at work, while doing any sport or even behind the steering wheel of your car. Simply anytime and anywhere. Zlatý Bažant 0.0% is brewed using a method of cold fermentation at a very low temperature, due to which the yeast does not produce any alcohol and the final beer keeps its full beery taste. The Hurbanovo brewery has been improving this method for more than two years. Made from water, malt, hops and natural aroma.